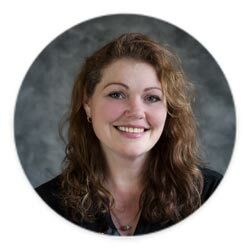 As you may know, I suffer from a compromised immune system and gut health is crucial for my day to day health and quality of life. I try to take both collagen and gelatin each day as part of my supplemental routine. Why gelatin, you ask? 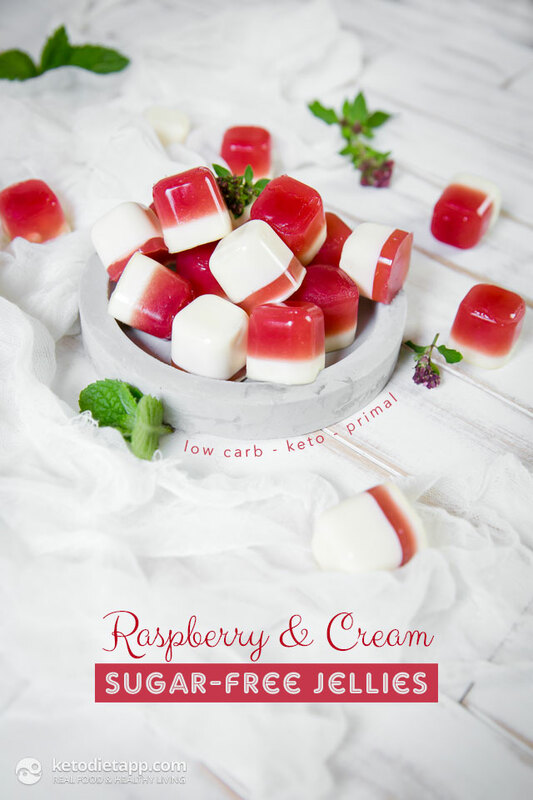 Gelatin is a brilliant source of protein and amino acids. It helps to heal the gut lining by restoring a healthy mucosal lining in the stomach. It can help to seal the colon so that nutrients can be better absorbed. For me? Gelatin is very high in anti-inflammatory amino acids such as glycine and proline which aid in reducing inflammation. Wow! If it could fold my laundry, it would be the most perfect food ever. I like to make tasty little jellies to take my gelatin, it makes it feel like you’re having a lush treat each day. Note: Sweetener can be used to taste. Natural grass-fed gelatin is by far the best gelatin to use for your gut health. You do need a bit more of it than the standard “baking” gelatin that you find at the supermarket, but it is by far better for you. In two small containers, place 1/2 cup of cold water and 1/4 cup of gelatin. Allow to sit and bloom while preparing the other ingredients. 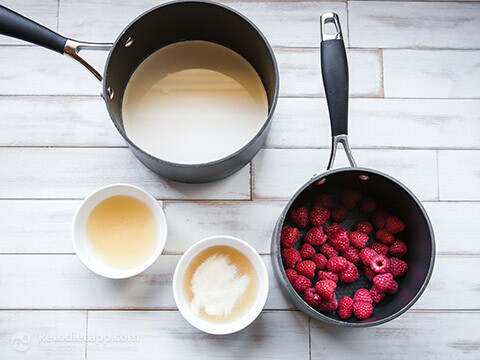 Place the raspberries in a small saucepan and sweeten to your personal taste, heat gently while smooshing with your spoon to release the juices. Also, in a separate pan, add the cream and heat to a gentle simmer. Add one of the bloomed gelatin bowls into the cream and whisk until dissolved. 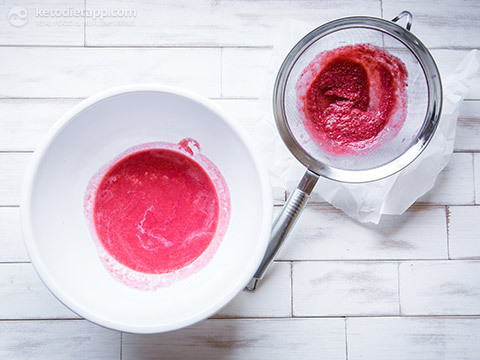 Blend and then strain the raspberries and return to a clean pan over medium heat. 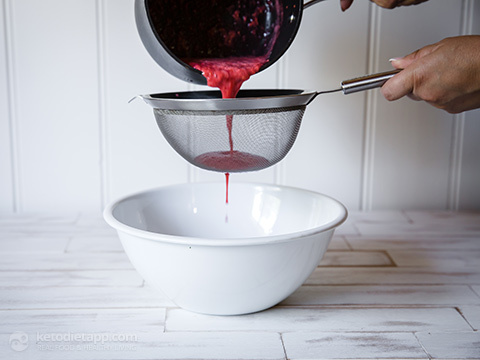 Add the other bloomed gelatin to the berries and whisk until dissolved. 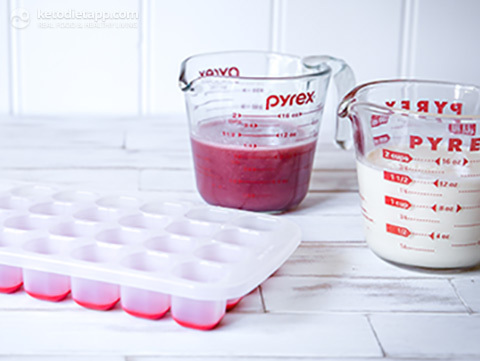 Set your jellies mould out on the bench (I just used an ice cube tray) and pour your mixtures into jugs to make pouring easy. You can make them all the same or you can have fun with the layers like I did. Pour your first layer into your mould and place in the refrigerator to set. If you’re concerned about your mixtures setting while you wait, sit your jugs in a warm water bath to keep it liquid. 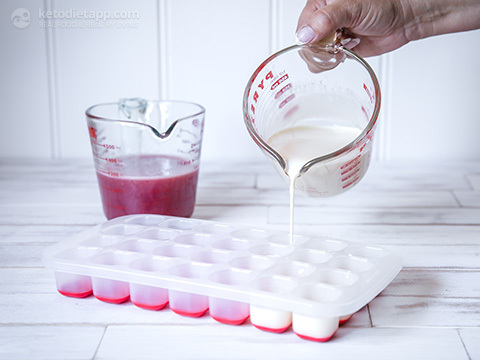 Once your bottom layer has set, gently pour your top layer over and refrigerate to set. Jellies should be fully set after about 4 hours. Store, in a container, in the refrigerator for up to 2 weeks. Can I use for the gelatine powder the brand (Now Foods: Beef Gelatin Powder)?? 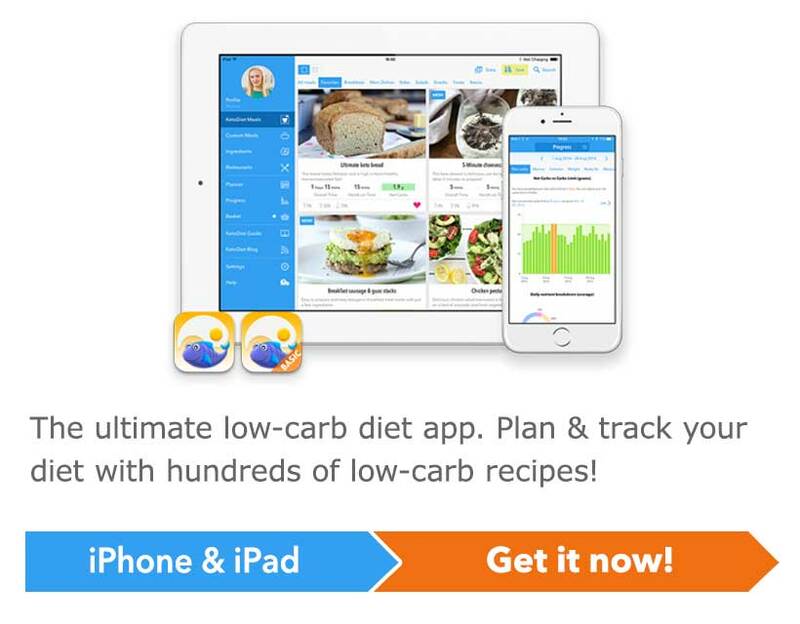 is safe for Keto Diet? Would these travel well (on a long flight) or do they really need to be refrigerated all the time? They sound delicious! These look delicious! 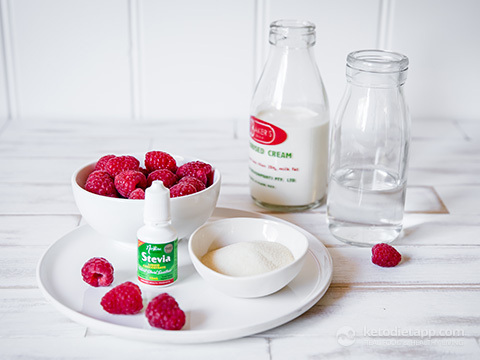 Would there be any harm in combining the cream and raspberry mixtures before pouring? I would think they'd taste great blended as well, and the flavor might be a bit more consistent. I made these with no gelatin works fine. 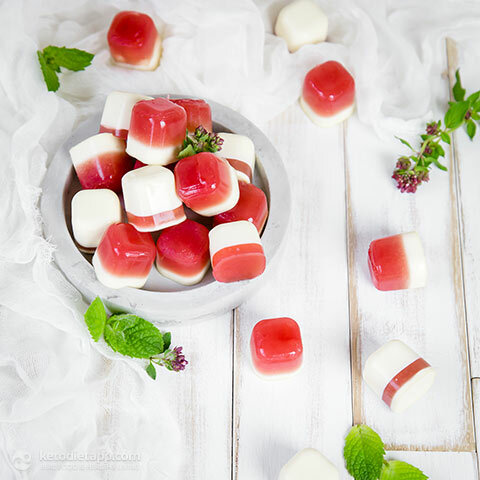 If I were to use sugar free Jello, would I make the Jello with the regular amount of water, or should I halve the amount of water for a firmer jelly? I mean, I know I could do either, but I was wondering which way would produce results most similar to the original recipe? This is especially important since I also plan to make the cream layer, and I'd like the two layers to be of similar density. Thanks in advance! Hi Jazz, I can't advice here as I never used it. I would personally avoid it because these products contain sweeteners and colours that are best avoided. If you do want to use it, then I assume using half of the amount of water should work. Possibly even less than that (quarter). Thank you for this and other recipes. YUM!! I can't wait to try this one! I haven't tried these but would love to know if anyone did  I suppose they should work just fine but you may need to adjust the amounts. Hi, fab recipe, I was just wondering if there is a suitable non beef gelatin powder you could recommend for this recipe. Being Hindu, means no beef products. Thank you. What I do is adapt these recipes to use Agar-agar. You won't get the same health benefits, but it's good for treats!